Spring is in the air, and the brilliantly coloured blooms we’ve been eagerly anticipating are exploding into life all around us. April is traditionally a month of showers but, with the weather warming there will be plenty to do in the garden. 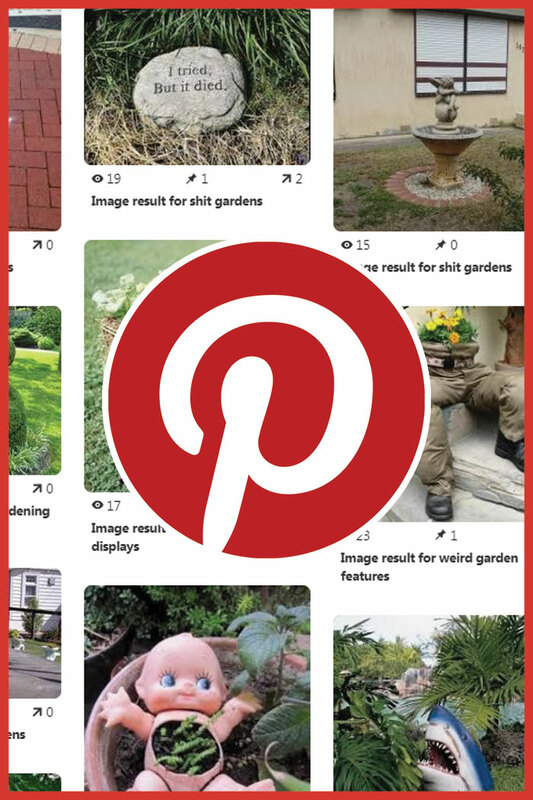 Not only do we have Easter at the end of the month, there’s a whole catalogue of exciting reasons to get outdoors and into the garden. Most houseplants require little care and are generally easier to tend to than those out in the garden. But with the warmer weather and longer days, your indoor plants are encouraged to grow and provide us sought-after botanical bursts of colour in every room of the house. Don’t forget to tend to them more frequently throughout April, as they’ll require a little more water whilst new growth is emerging. This is a great job to get stuck into from the comfort of your home whilst those troublesome April showers rage outside. I recommend you make sure that the surface of the compost is dry before giving your plant more water so as to not overdo it — most houseplants are killed with kindness. The water should be at room temperature for best results, as roots are sensitive to extremes of temperatures. For this reason, your home’s plants will do best with nice stable growing conditions like temperature and sun exposure as well as a consistent watering regime. 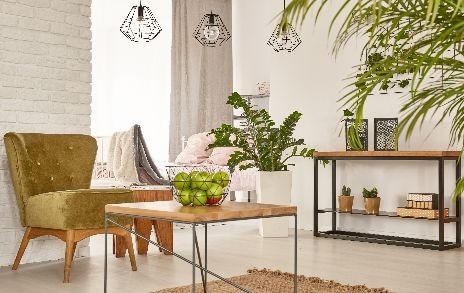 Check out my low maintenance houseplants blog for more information on how you can care for your indoor plants, and the best ones to suit a busy household. April is the time for routine pruning, but first you will need to remove any dying branches. New shoots will begin to grow in, so you will need to start training them upwards. This can be done by twisting the main shoots gently around the support. 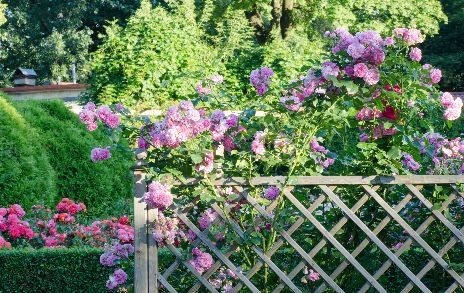 Don’t feel like you are restricted to supporting your climbing rose with an upright trellis, there are many other creative ways of displaying your roses—they can be trained up pillars, arches and pergolas in the same way. Try to tie in your new stems horizontally, as this will encourage flowering shoots to form lower down to fill in the available space. For rambling rose pruning, you can make excellent use of your space by pruning out all the flowered stems and tie in new ones to take their place. This is because rambling roses only flower once, whereas climbing roses repeat flower throughout the summer. It is also best to shorten the side shoots by approximately two thirds. If your rose plant is crowded, you can cut out any older branches from the base to encourage new growth. Now’s a great time to get sowing as the soil is likely to be warm and moist—perfect for speedy germination to occur. Before getting started, make sure you’re also referring to the handy guidance on your seed packet and ensure that you’re going to sow your seed at the optimum time. Amazing annual meadow mixes include plants such as Centaurea cyanus (cornflower), Papaver rhoeas (corn poppy), Glebionis segetum (corn marigold) and Agrostemma githago (corn cockle). Spring sowings will definitely favour corn cockle and most of your plants should flower within three months. 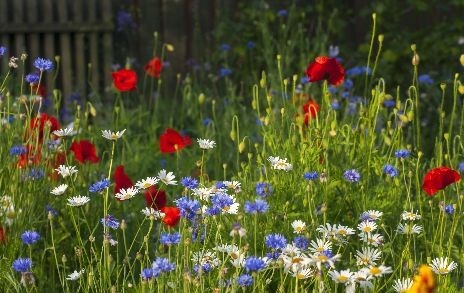 For some more guidance on wildflower meadows, take a look at my blog: How to create a wildflower meadow in the garden. Why not try growing your own watercress? It’s great for kids and you can grow it on a damp piece of cotton wool or in a container, positioning it on a sunny patio or windowsill. Keep that container well-watered and you’re good to go, with sprouts appearing in as little as a few days. You can also fill your borders with some summer-savvy hardy annuals and perennials. They are fast growing and cost effective. Try bright Chrysanthemums or radiant Helianthus annuus (Sunflowers), they’re an all-round favourite and will brighten up your border in no time. 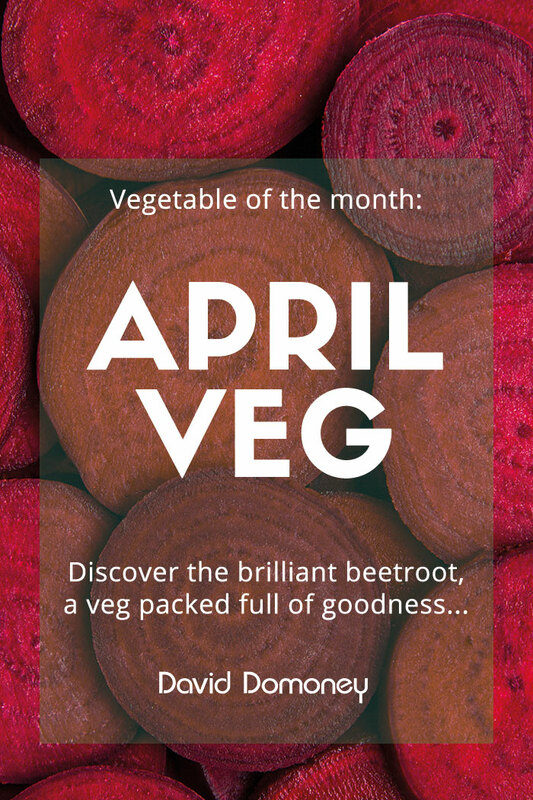 Why not try growing a new vegetable this month?